Former Manchester United manager, Sir Alex Ferguson, has been ranked second best all-time manager among the top 50 greatest club managers. Dutch football player turned manager Rinus Michels emerged as the greatest manager of all-time according to the ranking done by France Football. The former Ajax, Barcelona, and Netherlands tactician rallied majority of the votes to beat Ferguson to the top spot. The Dutchman was credited for his role in revolutionising football in the 1960s by defining the codes of "total football." In the process, he changed the history of Dutch side, Ajax Amsterdam, and La Liga giants, Barcelona, with who he won numerous titles before handing Netherlands their only major title during the Euro 1988. Ferguson, on his part has been attributed with Manchester United's success through the 1990s and early 2000s. The Scottish tactician spent more than two decades at Old Trafford, winning a record 38 trophies, including 13 Premier League titles. Interestingly, Real Madrid boss, Zinedine Zidane was ranked (22) above Arsene Wenger despite starting his coaching career way after the former Arsenal manager had left a mark in football managerial. Pep Guardiola and Rafa Benitez are the only current Premier League managers who made the list, with Jose Mourinho ranking at 13th position. 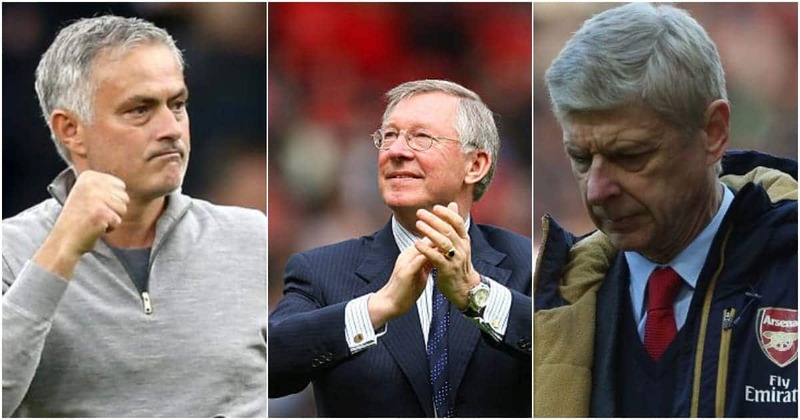 France Football revealed the rating was centered around legacy left at individual clubs by the managers and the duration and impact of their managerial careers. Legit.ng earlier reported that Sir Alex Ferguson is one of the best football managers in the world considering his achievements when he was in charge of Premier League side Manchester United.